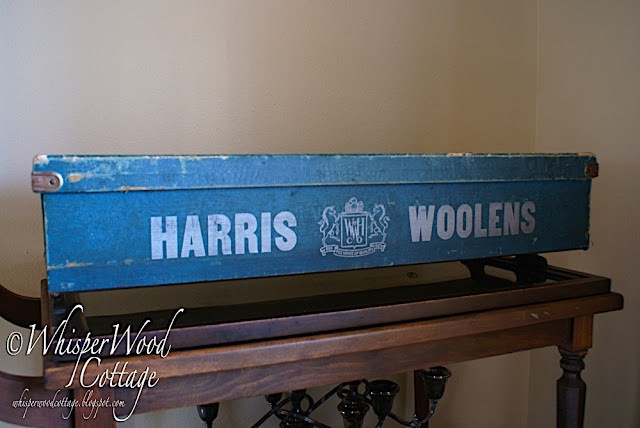 What are your ideas for this antique woolens box? I picked it up at an antique store several months ago. I haven't done anything with it since then. I would appreciate hearing your ideas about how I could use it here at the cottage. Please help me out by leaving your suggestions in the Linky Tool below. If I use your idea, I will include you in that project post! Fabulous find! 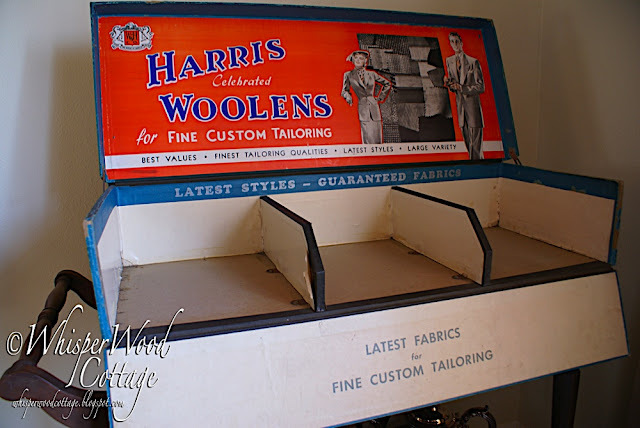 What about in your laundry room, on a cute wooden crate type shelf. 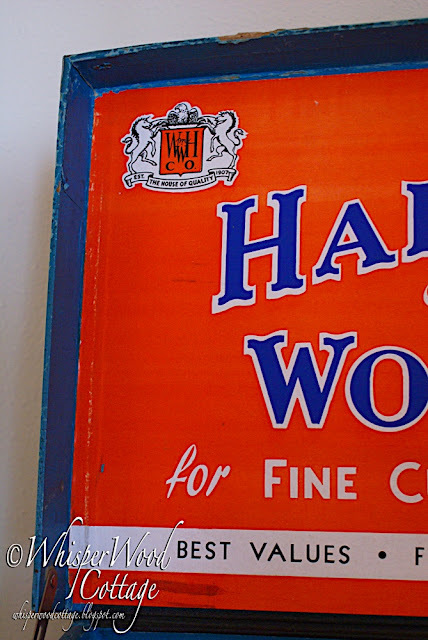 Keep it open, and you could even tuck three wooden bins inside. They could hold glass jars for laundry needs. 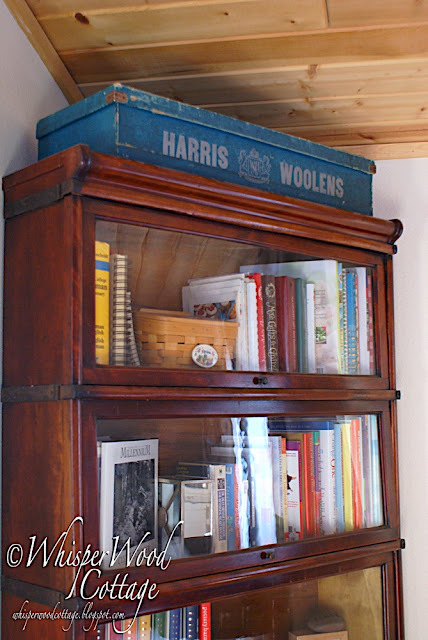 Or, you could put it on a shelf in a mudroom, and use it to hold mittens and hats and things.